The incessant media coverage of the housing crisis has missed this equation up to now - lets say our planning regime streamlines, banks start lending beyond 65% and developers start building affordable homes profitably, then we realise we don't have the human resources to build them. Talk to any subcontractor and they will tell you that getting the right talent is holding their growth ambitions back. Talk to any recruiter and they will tell you that they must run recruitment shows abroad to find the right skilled construction professionals and trades. To add to everything else now we have much higher labour costs, which is estimated at 15% on top of what it was in 2014. Expect that figure to rise. It is folly to think that the human resources gap will be filled if the CIF's 112,000 job vacancies are to be trusted. Smart builders and subcontractors will have to invest in technology to fill the gap. Now begins the de-labouring of construction. 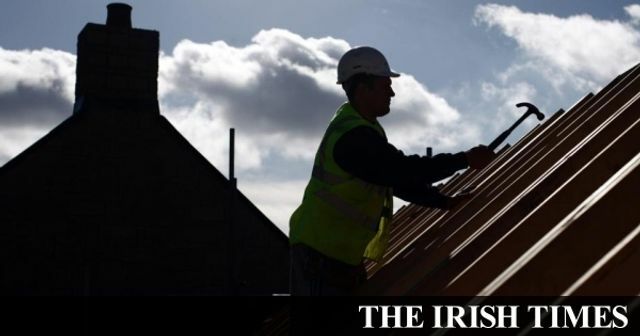 Still, the Irish construction industry has experienced a major resurgence in the past 24 months and skilled professionals, including engineers, surveyors, architects, and site and project managers, are in huge demand, says Philip Bourke of Hays Recruitment. Many emigrants are returning home, with Hays securing job interviews for 80 per cent of applicants in 2016, of which three quarters received job offers. The CIF’s Demand for Skills in Construction report, published in October 2016, estimates that the industry will have to fill about 112,000 vacancies by 2020 to meet planned construction jobs.